Gary Wright aka NEON started making music back in the mid 80’s using analogue mono synths, effects pedals and drum machines. Some very basic melodic instrumental tunes were made with this minimal equipment. 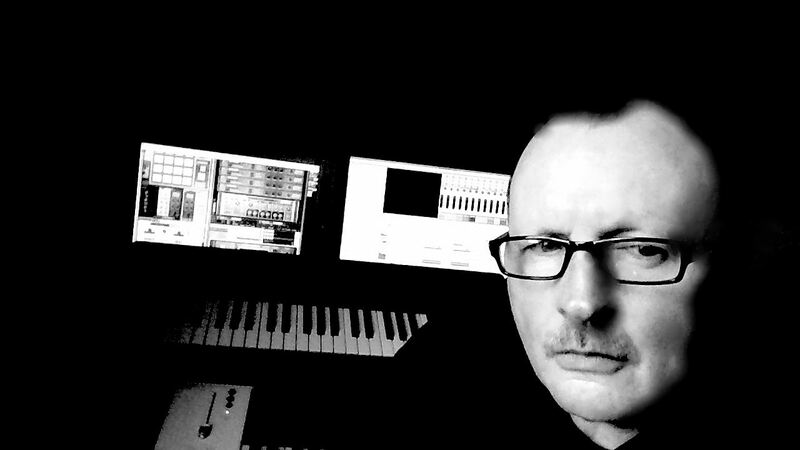 The early musical outings were inspired by bands like Tangerine Dream and the whole Berlin school of electronic music built around 16 or 32 step sequences that I could transpose manually, but I also tried to mimic the electronic pop music by the likes of The Human League and OMD. But what I always wanted to do was make music in the style of KRAFTWERK. I found the whole process of those early days frustrating in many ways as I couldn’t write any complicated sequencing because there was no way of saving it with the gear I had. It wasn’t until the advent of computing and the AMIGA 1200 that I could save data onto floppy disc. I used a tracker program called Octamed. I found this amazing back then and it encouraged me to write more intricate tunes. As time went on computers became more powerful and better software became available and then virtual instruments which blew me away. Nowadays I use Reason in which I make all my music. 98% software but I do retain two hardware synths in the form of a Novation Nova 2 and a classic Roland D50 which integrate very well into my Reason set up. With Reason 8 I was finally able to fulfil a long held desire of mine to include vocals in my music with the aide of vocoders and text to speech software. At long last I can try and make music which goes some way to paying tribute to my musical heroes Kraftwerk…. In April 2015 Neon Electro Music joined PLONK. Later that year I contributed a remix on the Kretz release Gemeinschaftsinformationen Remixed edition. In April 2016 Released first official NEON e.p. “EUROSTAR the remixes” A six track album featuring reworks from Zeropage, Jonteknik, Maschine Brennt and DATAPOP. In March 2017 Released second E.P. “Man Made Machine”. Five tracks Re-Machined by Kretz, Maschine Brennt, Kevin Lux and Unisonlab.